A general dentist attends four years of dental school after undergraduate studies and is a go-to provider for routine management of oral health. Specialists in dentistry have completed an additional two to three years of specialized training beyond their four years of dental school and four years of undergraduate studies. Specialists are recognized in those areas where advanced knowledge and skills are essential to maintain or restore oral health. By completing concentrated training in a dedicated field, specialists focus on treatment methods and techniques for patients specific to their area of expertise. Pediatric dentists and orthodontists are two of the nine dental specialties recognized by the American Dental Association (ADA). A pediatric dentist is chosen by many parents for their children’s dental care because they are able to meet the unique dental and emotional needs of infants and children through adolescence, including those with special health care needs. 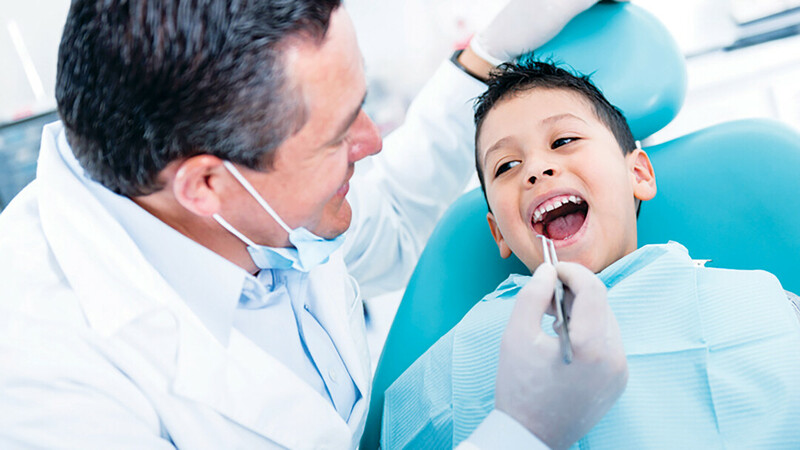 They are the pediatricians of dentistry and are prepared to care for a child’s oral health needs throughout all stages of childhood while helping to determine an appropriate time to transition each child to a general dentist based on their individual needs. The American Academy of Pediatric Dentists and the Academy of Pediatrics recommend a child see a pediatric dentist by age one. Here in the Chippewa Valley, Smiles in Motion Pediatric Dentistry, founded by Dr. Amanda Spitz, is focused on making proper oral care an integral part of a child’s total health and well-being. Treatment modalities and recommendations for the growing child and baby teeth are not the same as for adults and adult teeth. Improper or inadequate pediatric dental care can have long-term negative impacts on a child’s overall health. Orthodontists are specialists who concentrate on the prevention and correction of irregularities of the teeth, bite, and jaws to promote ideal function and optimal aesthetics. Their work includes straightening teeth and bites with the use of braces, retainers, bands, wires, clear aligners, and other corrective appliances. The goal of orthodontic treatment is obtaining an improved and functional smile, meaning straight teeth that align well with the teeth in the opposite jaw and look great. A good bite makes it easier for you to bite, chew, and speak, and many people find a beautiful smile adds to self-esteem and self-confidence. Dr. Steve Kristo of Kristo Orthodontics suggests children see an orthodontic specialist to create an orthodontic plan at age seven. This initial exam is important to ensure a proper long-term plan can be put into place early, even if orthodontic treatment is not immediately needed. It is also common for adults to receive orthodontic treatment such as clear aligners and braces. It is not necessary to have a referral to become a patient at most specialty practices. Jen Wennerberg is the marketing manager for Kristo Orthodontics and Smiles in Motion, Pediatric Dentistry, which are community partners for Chippewa Valley Family. She holds a master’s degree in communication from Northeastern University has more than 10 years of marketing experience. Jen currently resides on a hobby farm in Bloomer with her husband.